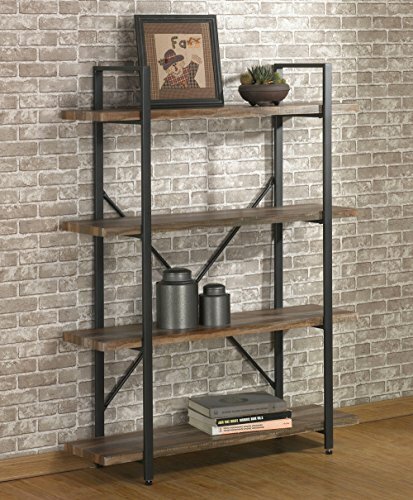 Dimensions: 41.3" x 12.6"x 54.9"
The 4-Shelf Bookcase furniture is a stunning, rustic, open-style book shelves that easily adapts and fits into any room in your home. Industrial-Style Design: A set of three open bookcases and an industrial style are formed with steel tube frame and wood PVC board. With an ample 13.75-inch space between shelves, it is ideal for storage or display. and accessories to create visual interest on the shelves,Give a Fashionable Retro Style for Your Home. If you have any questions about this product by O&K Furniture, contact us by completing and submitting the form below. If you are looking for a specif part number, please include it with your message.